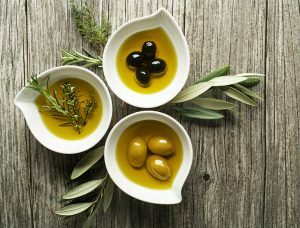 Take your taste buds on a global tour of some of the finest extra virgin olive oils and balsamic vinegars in the world. With selections from Italy, Greece, Spain, Chile, Peru and South Africa (just to name a few), you’re sure to find the perfect bottle to bring home with you! A trip to Maine is simply incomplete without a visit to at least one lighthouse! Check out our guide and get the history behind these picturesque beauties before you go. Go for their seasonal selection, or stick with their fan-favorites. They also have trivia nights, cribbage tournaments and a menu packed with fresh, delicious options. Rockland has not shortage of history, art and culture! 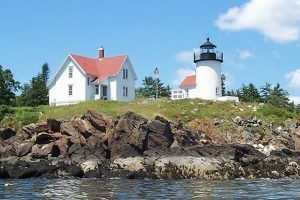 The Maine Lighthouse Museum has the largest collection of lighthouse lenses and artifacts in the U.S., and the Sail, Power and Steam Museum is the perfect place to learn all about Rockland’s major role in shipbuilding. Love art? Add the Farnsworth Art Museum, and Maine Contemporary Art Center to your list! Located in a 125 year old former ice plant, this chocolate factory makes clean and natural sweets created from only ethically-sourced ingredients. Tour the factory, learn the story behind the company, and try some of these decadent treats for yourself! 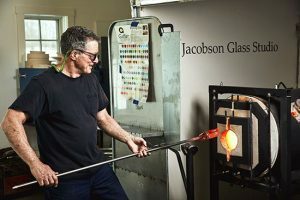 Try something new and head over to this local shop for a hands-on glassblowing workshop! You can make everything from hand-blown ornaments and drinking glasses to candle holders and vases. Main Street is one of the most charming spots in Rockland. Whether you’re window shopping or looking for that perfect gift for someone back home, the myriad of unique boutique stores and antique shops are filled with undiscovered treasures. Rockland and Midcoast Maine have the highest number of restaurants per capita in the U.S.! With so many options, we created a special package for you to experience the best of our 3 favorite restaurants. With our Local Dine Around Package, you will enjoy 3 courses of hearty appetizers or 2 courses of appetizers and desserts at your choice of our three top spots! Take the ferry to Vinalhaven or be the first passenger of the season on a local daysailer. 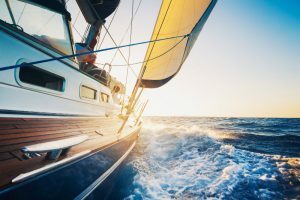 Whatever way you choose, getting out on the water is one of the best ways to experience the beauty of the coast of Maine. What says “spring” more than a scenic picnic? Appreciate the end of the winter season and let us pack you a picnic lunch to enjoy as you gaze out on the tranquil waters. Double the company, double the fun! Switch things up this season and bring your closest friends with you on your getaway. Think of it as an adult spring break: book 2 rooms at our cozy Maine bed and breakfast, plan your itinerary with these top activities, and pack your bags! Get the details on our specials page. 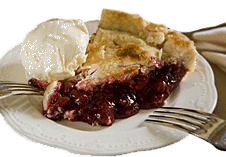 Oh, and every stay includes complimentary homemade pie and a 3-course homemade breakfast. Shed the winter doldrums and let the planning begin! This entry was posted on Monday, April 30th, 2018 at 12:22 pm	and is filed under Maine Activities, Rockland Attractions.